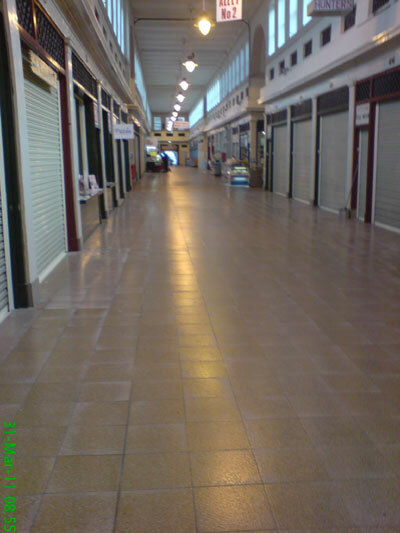 An almost empty Grainger Market. Not quite empty enough for me to take the time for a decent photo - I look weird enough without drawing more attention to myself. 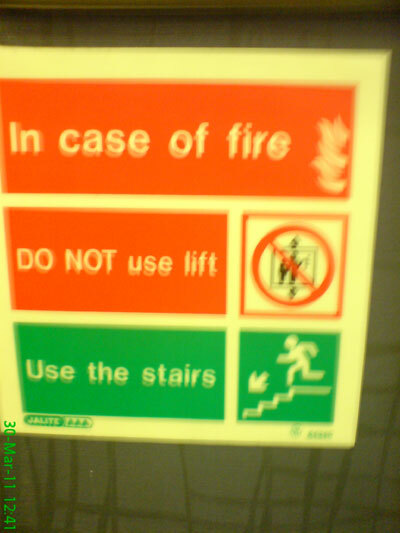 This is an important rule for me to remember as fire warden. A quick glance at what's to come on the V+ Planner. 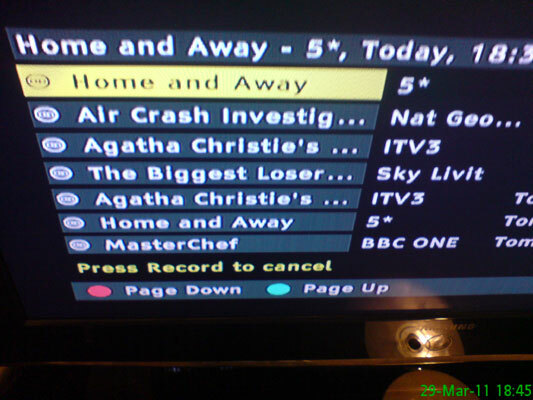 All mine apart from the Agatha Christie rubbish! 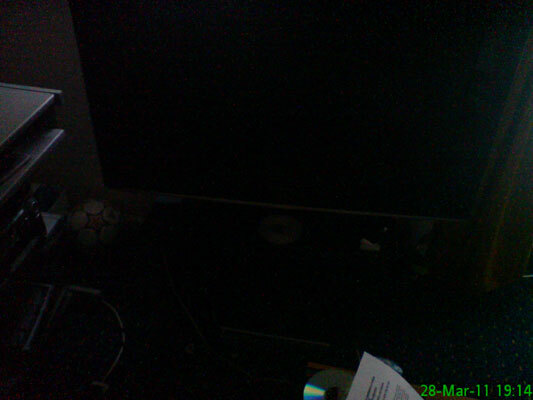 No, I didn't take a dark photo by accident - we had a power cut. 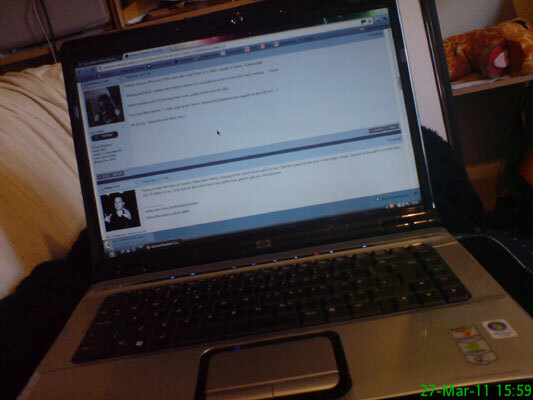 Sunday: the day of rest and browsing the net. 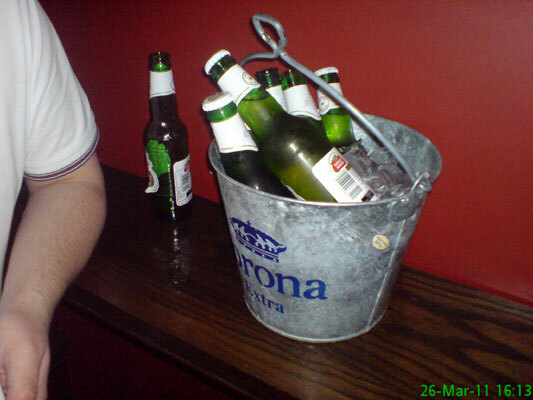 Went out to Fluid for Wales vs England and a bucket of Stella for £10 was an easy decision. 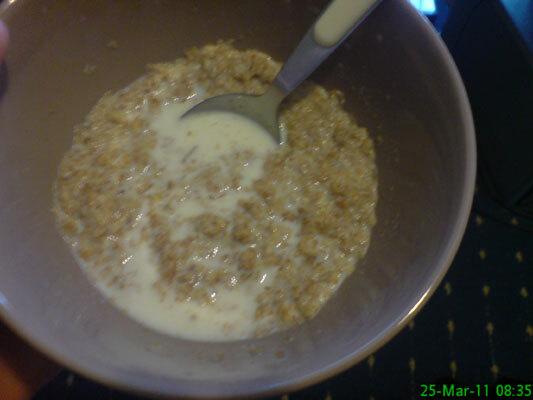 A delicious start to the day. The tragic state of my outfit for work today. 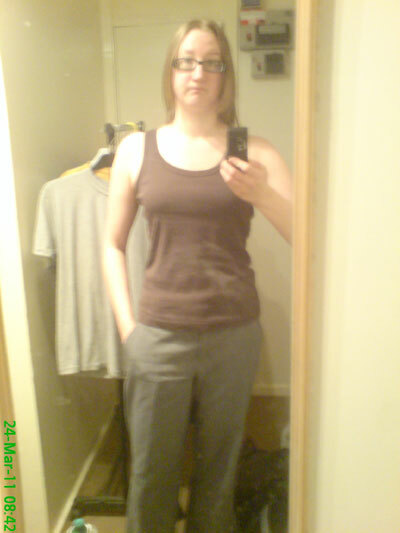 No other tops were dry so I was forced into a brown top and grey trouser combo. Not a great look. 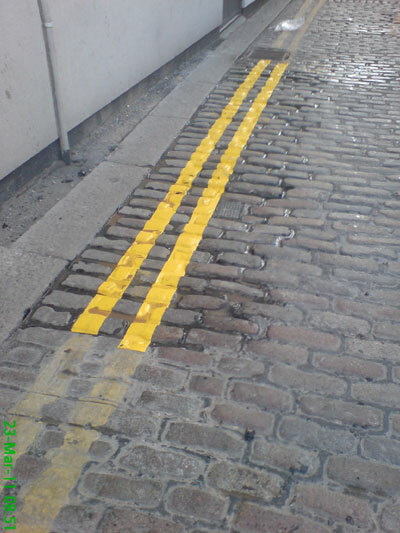 Some areas more yellow than others. Well put the fork down, dude. 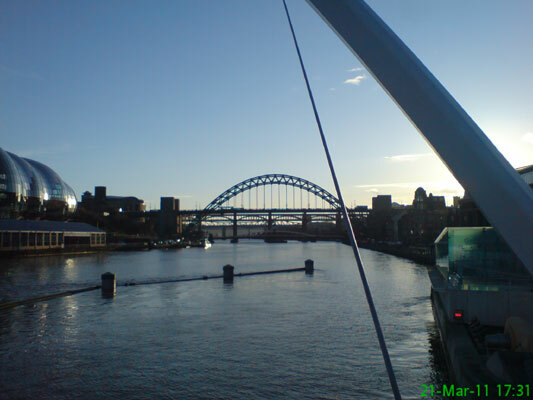 I will literally never, ever get sick of the view along the Tyne. 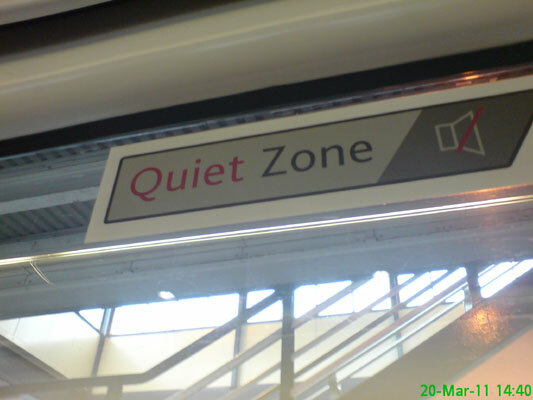 I wasn't sure ending up in the quiet carriage was a good idea but we were very well behaved. 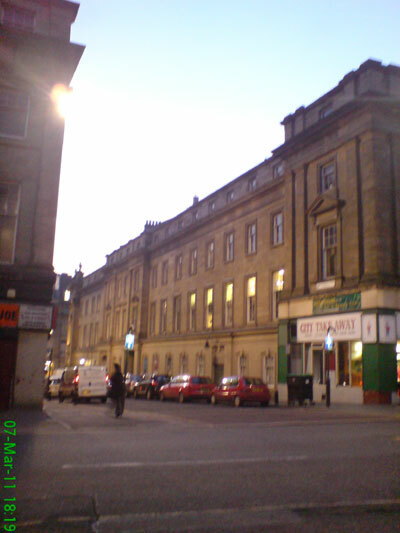 The theme for the second night out in Leeds was 'Brides'. 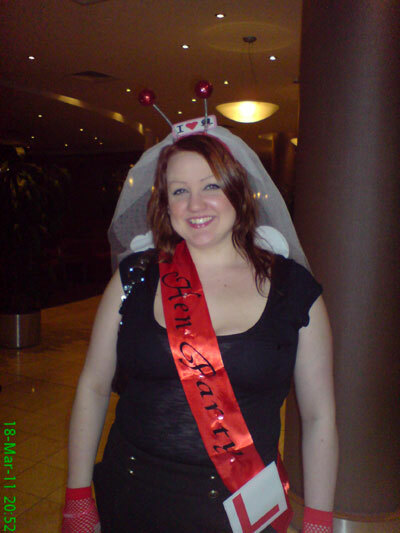 Ali on Day 1 of her Hen Weekend in Leeds. 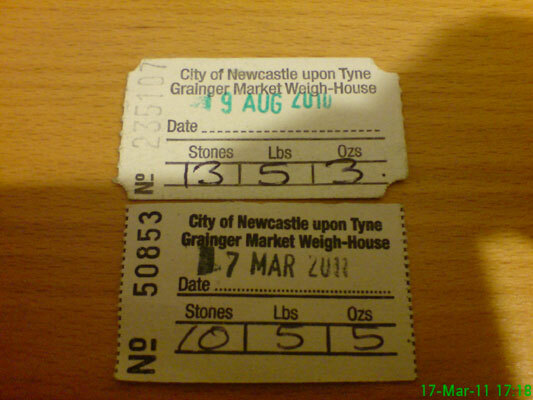 I have successfully lost 3 stone in weight. 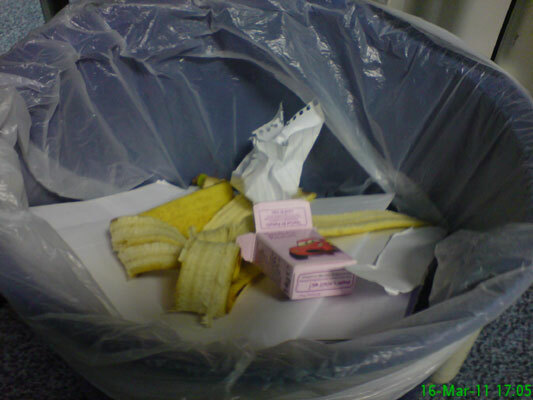 The contents of my bin at work: paper, banana skin, raisin packet. 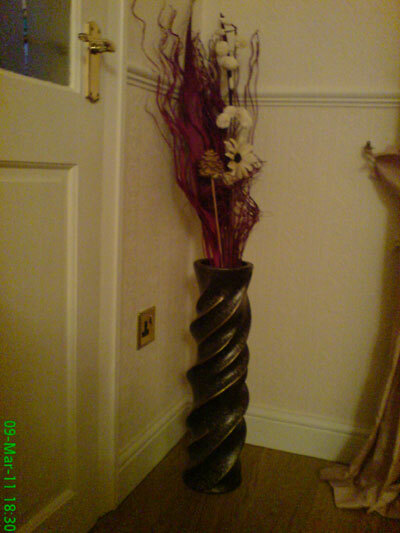 Another exciting day in the life..
15 March 2011: Next Purchase? 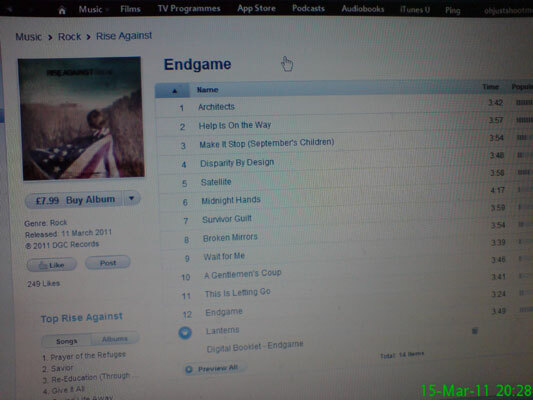 'Endgame', the latest offering from Rise Against, could very well be my next purchase. 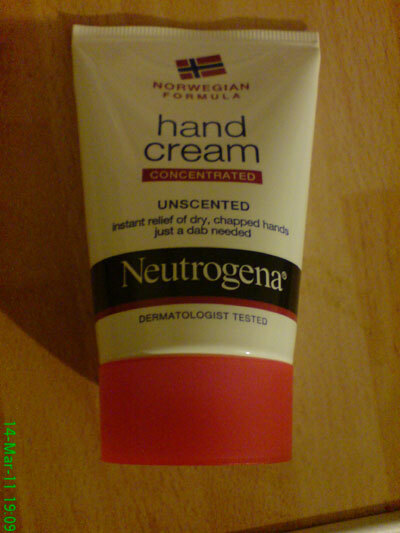 This is what is currently preventing my hands becoming chapped and manky. 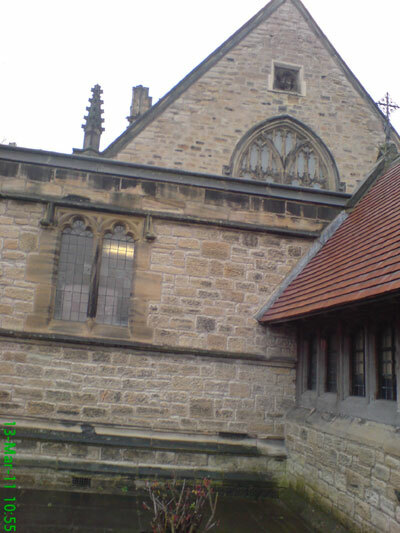 St Cuthberts Church in Blyth. I don't normally go to church but went along for Eve's Christening. 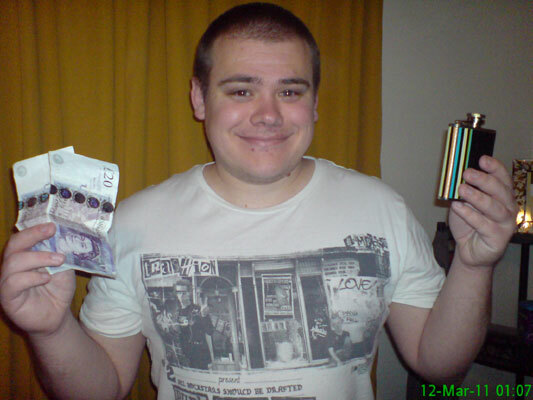 If someone leaves money and a hip flask in your flat, can they be considered gifts? 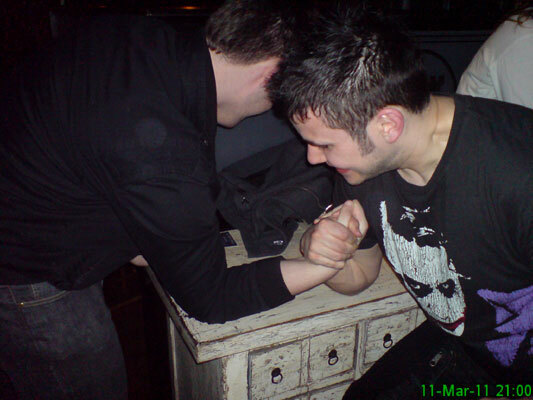 Ste and Jon arm wrestle. 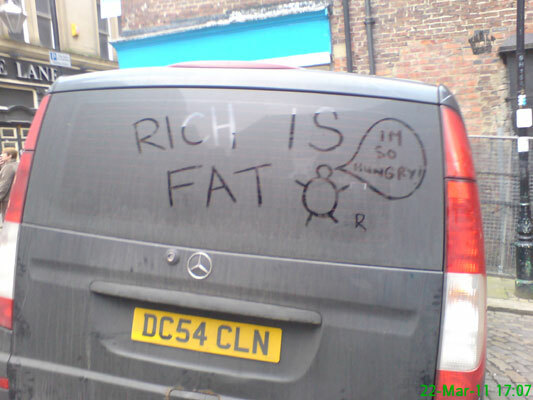 Jon wins. 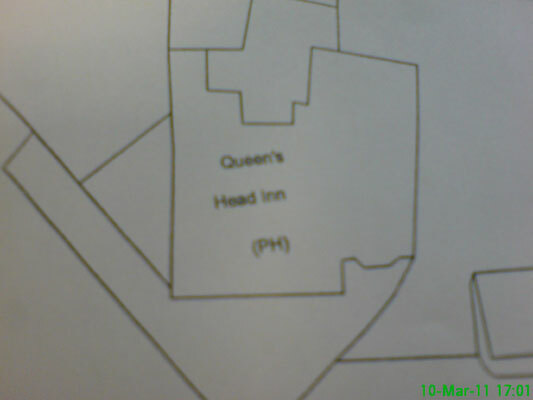 Thursday is a good day for a drink - it's just a shame I'm only looking at a plan which includes a pub and not actually drinking in one. 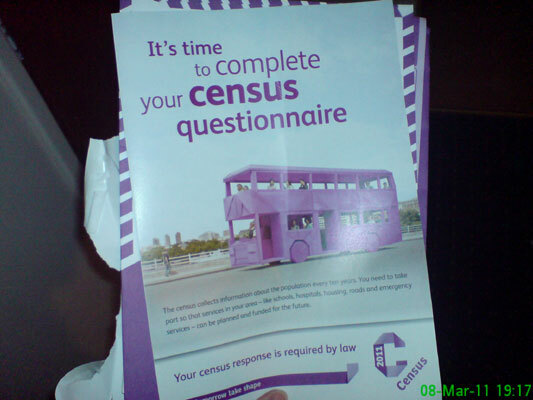 The 2011 census forms are landing on doormats. Time to say hello to any future family members who may research their family history - HIYA! 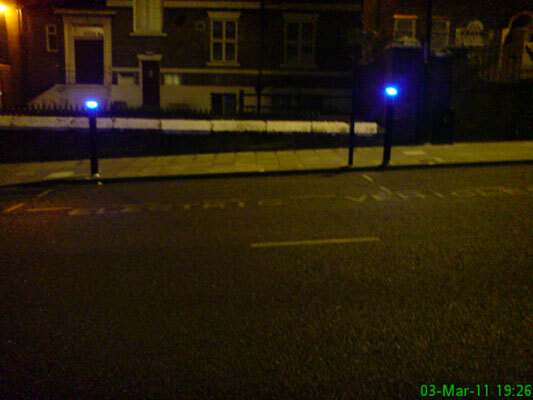 It's no longer dark when I leave the gym. Ali & Carolyn at the Newton. 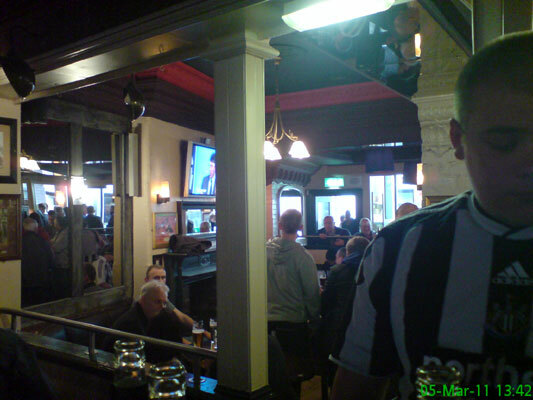 Our usual pre-match drinking venue. 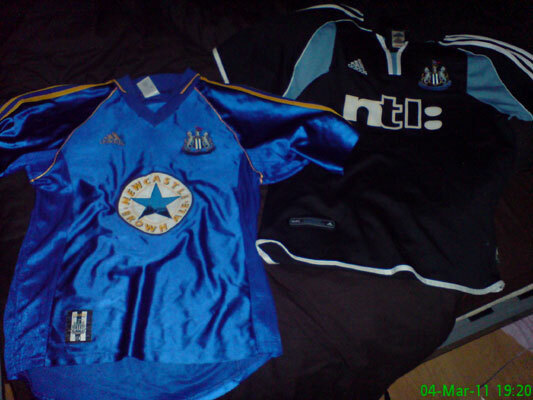 Some old Newcastle shirts I found at my mam's house. 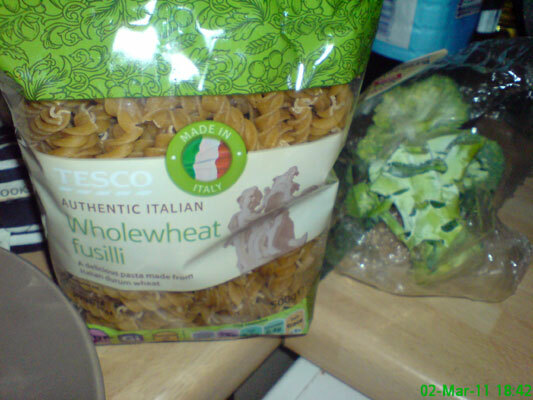 Pasta to accompany my bolognese.. I also finished off the broccoli and had a little bit of leek. 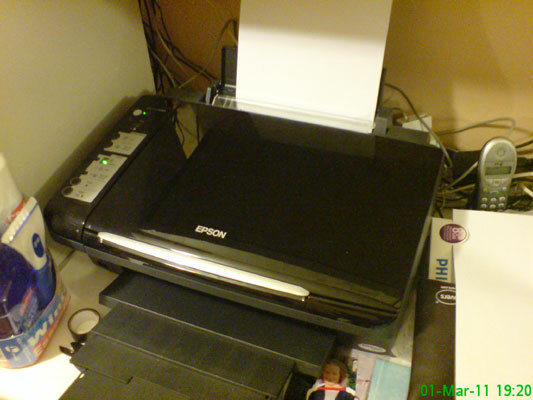 My Mam's scanner, which I borrowed for a few pits and pieces.